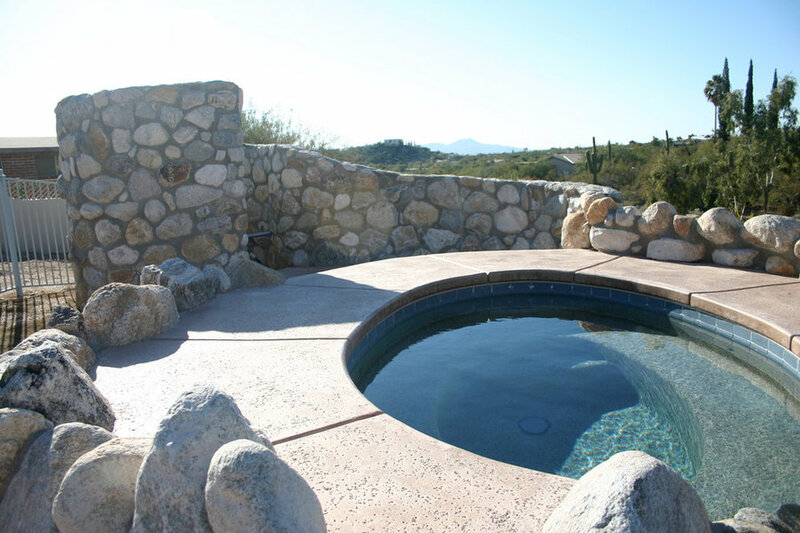 Infinity Edge with raised spa and natural rocks. 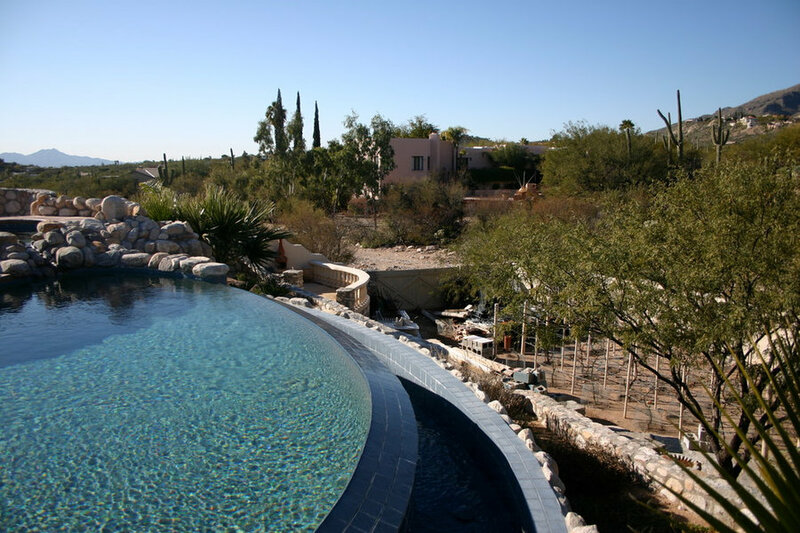 Our client wanted this project to blend into the environment surrounding their house. 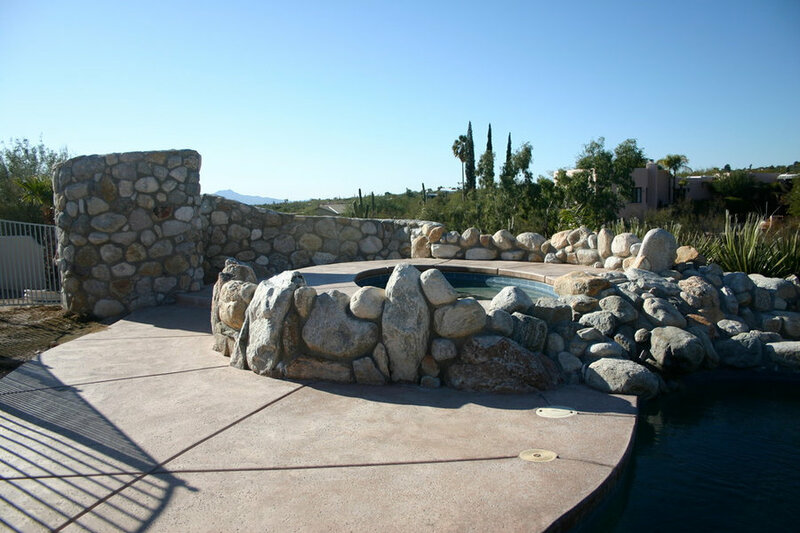 They loved the rocky terrain, so we incorporated the rocks into the project. Not all rocks are good for pools, these are the best rocks around, they don't fracture and hold up in water environments. Good view of the salt finish concrete with custom color. 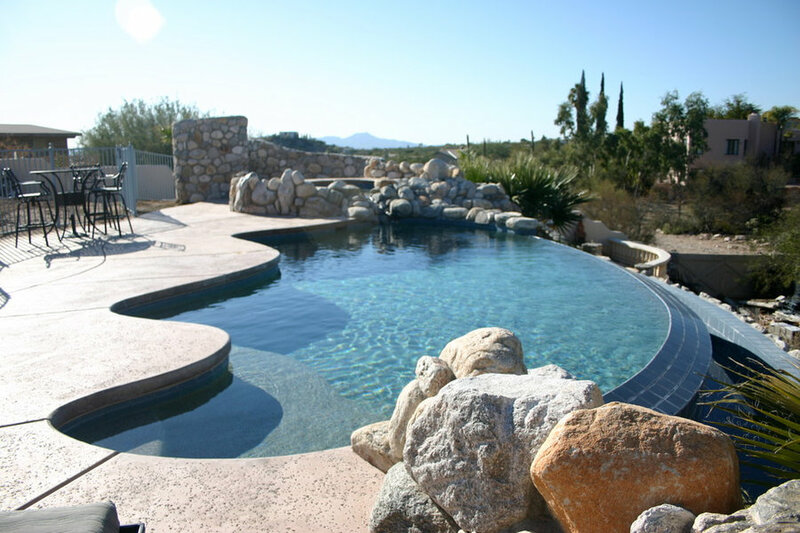 Infinity edge effect, this is the feel we love from this type of pool, the edge disappears.